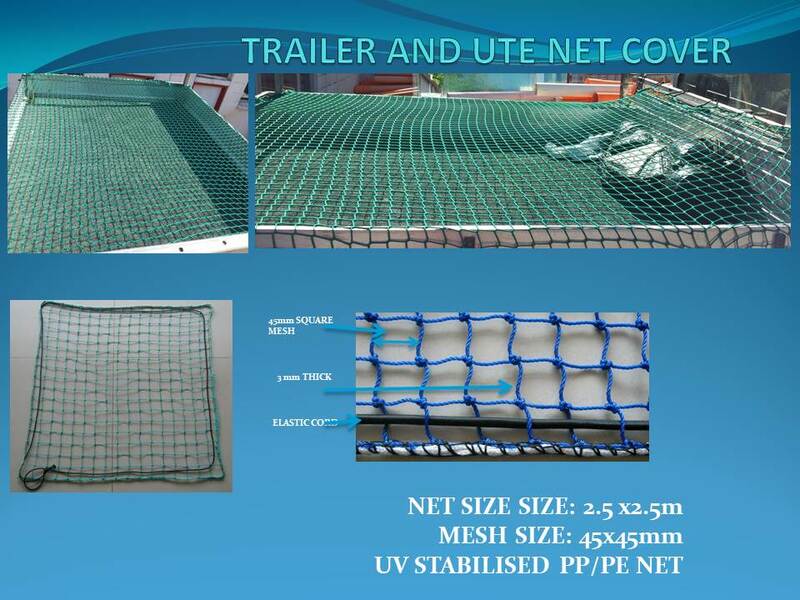 Ozbulk cargo nets are manufactured from UV stabilised materials suitable for Utilites and Trailers. These nets are capable of fully securing cargo and last a very long time. They are available in variety of sizes and colours. However we only stock 2.5 x 2.5m type. We can supply other sizes on request.